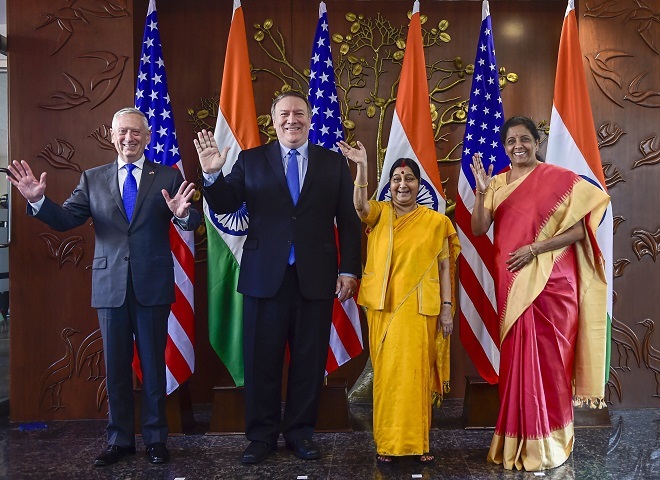 Foreign Minister Sushma Swaraj, Defence Minister Nirmala Sitharaman, US Secretary of State Mike Pompeo and US Secretary of Defence James Mattis pose for a group photo before India-US 2 + 2 Dialogue, in New Delhi, Thursday, Sept 6, 2018. Photo: PTI. 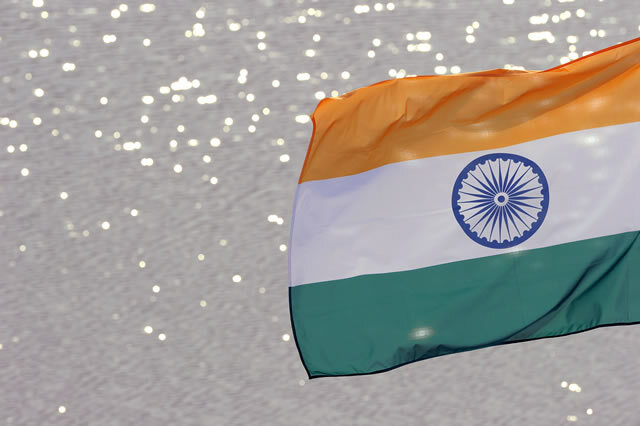 NEW DELHI (PTI): India and the US Thursday held the first edition of the two-plus-two talks, aimed at further strengthening bilateral defence and security collaboration as well as boosting their global strategic partnership, particularly in the Indo-Pacific region. External Affairs Minister Sushma Swaraj and Defence Minister Nirmala Sitharaman held talks with US Secretary of State Michael R Pompeo and Defence Secretary James Mattis. In his remarks, Pompeo said both sides should continue to ensure freedom of the seas and work towards peaceful resolutions of territorial and maritime disputes, seen as an oblique reference to China's expansionist behaviour in the South China Sea. He also stressed on promoting market-based economics and good governance. 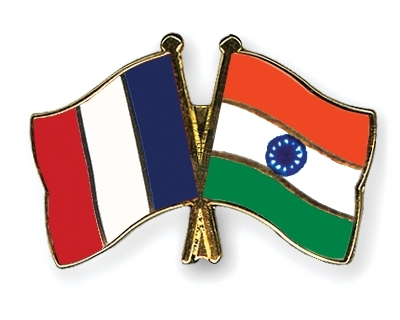 Diplomatic sources said both sides will try to finalise certain defence agreements, which will enable their militaries as well as their private sectors to work more closely together, both on defense acquisitions and collaborations. The US has been trying to enhance military ties with India, which is seen as an effort to counter-balance China's growing military assertiveness in the region. 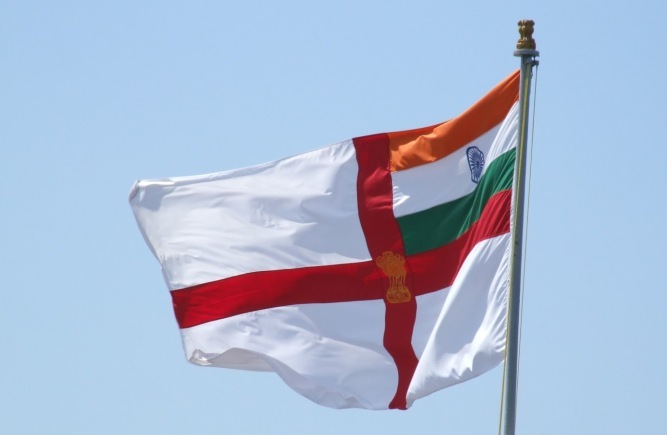 In a tweet, External Affairs Ministry Spokesperson Raveesh Kumar said the dialogue was a reflection of shared commitment of the two countries to provide a positive, forward-looking vision to their strategic partnership and rowing convergence on important issues. 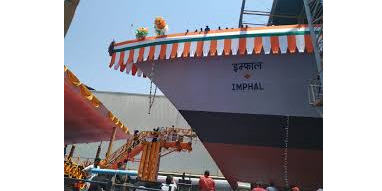 Sources said the US attaches great importance to India's engagement in the Indo-Pacific region and the issue figures prominently in the talks. 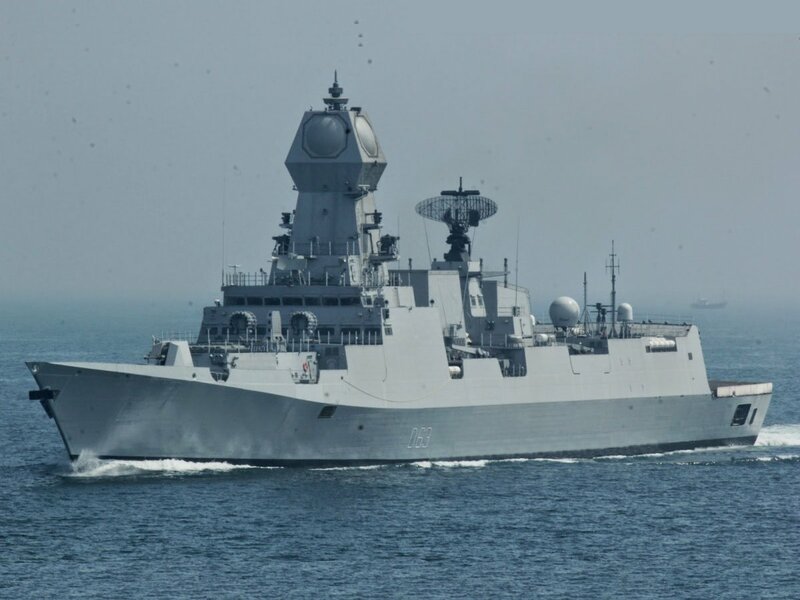 A raft of other important issues like US sanctions on import of Iranian crude oil and India's plan to buy a batch of S-400 air defence missile systems from Russia are being discussed, official sources said. In May, the US withdrew from the landmark Iran nuclear deal and re-imposed the sanctions that had been suspended in return for curbs on Tehran's nuclear programme. Referring to the S-400 missile deal, the sources said it was for the US to decide on what steps it may take if India goes ahead with the procurement, notwithstanding the US' sanctions against Moscow relating to defence supplies. 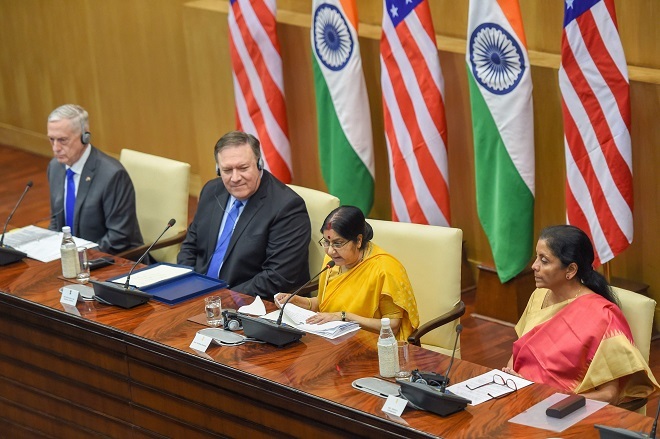 Earlier in the day, Swaraj and Sitharaman held separate meetings with Pompeo and Mattis respectively. Official sources said a number of key bilateral issues were discussed during the meetings. He said the two sides took stock of "impressive strides" in the bilateral relationship and discussed steps to take the relationship to an "even higher trajectory". Pompeo and Mattis arrived here Wednesday for the inaugural Indo-US two-plus-two talks which was finalised during Prime Minister Narendra Modi's visit to Washington last year.